Video games are more than lasers and explosions, rules and design, music and graphics. They require input, and so they require controls. But human interface can be a dicy thing — so tough to get right, so easy to screw up. 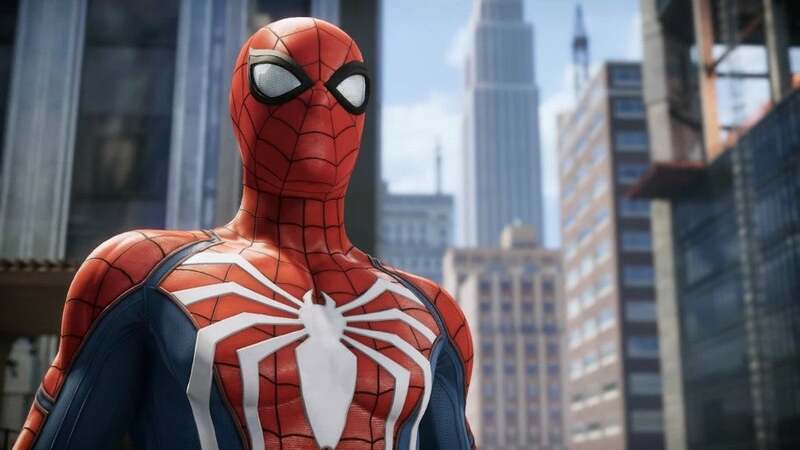 The games of 2012 have given us some fantastic new control schemes, interesting and satisfying ways to push and pull our way around their digital worlds. Here, we'll take a look back at the best of them. 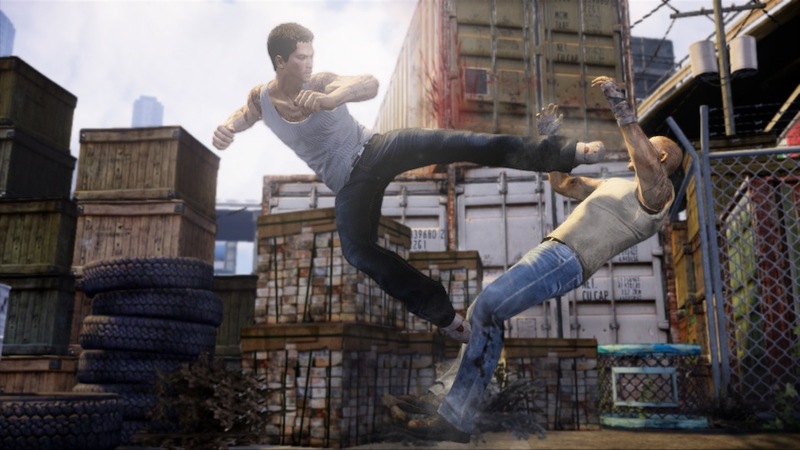 Sleeping Dogs may have mostly been a Grand Theft Auto clone, but it brought a number of cool twists to Rockstar's formula, particularly in how it controlled. Chase sequences played out in a neat quasi-parkour style that kept things moving while forcing players to react to the constantly changing environment. Fighting was an enjoyable take on the Arkham City formula, slower-paced and more strategic, and a great deal of fun once you mastered it. And while the driving didn't quite feel as good as some other open-world games, a number of control options made welcome changes. You could easily lean out of the window and hijack other vehicles in motion, and the ability to press a button to veer into your pursuers was one of those things I didn't know I wanted until I had it. Sometimes, all you have to do to do things right is keep things the same. 343 Industries had a tough row to hoe with Halo 4, and yet the best thing that can be said of the game's controls is that it still feels like Halo. But that's not faint praise: Halo has a wonderful, smooth feel on a console controller, and the new game matches the fluidity and bounce of its predecessors. Evan Narcisse: The first thing you'll notice about Might & Delight's platformer is how pretty it looks. But it's also got one of the most fun traversal options in any game this year. Early on in the game, Pid's hero Kurt gets bonded with an elemental energy called the Beam, which pushes him along certain vectors in the world. It's the kind of mechanic that recalls the teleporting of Portal or the grappling of Bionic Commando but updated in a sharp, modern way. Players can use the Beam on objects or enemies, too, and Pid's design throw lots of wicked physics-puzzle challenges that will force you to use the special ability creatively. It's a fresh idea that will stay in your brain long after the game is finished. Not only did Dishonored feel very good to play, it featured what might be the best single new mechanic of 2012: Blink. With the press of a button, players could warp all over the map, making the game's first-person stealth and platforming seriously fun. Crucially, Blink didn't cost you blue energy unless you used it too quickly, so you could blink around the levels to your heart's content. Warping from a roof to a street-level hidey hole, then up behind a guard, then back to the roof, was one of 2012's great gaming maneuvers. And blinking from combat to appear behind your assailant was the sort of advanced manoeuvre that held up time and again. Blink, we salute you. Owen Good: Tiger Woods PGA Tour 13 remade its analogue stick swing this year, incorporating draw and fade (i.e. stick direction) into the swing. Working around the green takes some getting used to but it introduced some overdue determinism and challenge in your tee shots and irons. Ubisoft's Wii U launch title ZombiU wasn't easy to play — it was claustrophobic and disempowering. But that was the point — the game was a punishing, tense crawl through horribly dangerous, zombie-strewn city streets and claustrophobic interiors. Not only was it a smart, interesting horror game on its own, it integrated the Wii U's second-screen gamepad in smart ways, forcing the player to look down to pick locks and root through their backpack, often at the worst times. Via the gamepad, ZombiU conjured the panic of a zombie attack better than perhaps any game before it, and showed that in the right hands, the Wii U's big new idea can feel very big and very new, indeed. Rare is the 2D platformer that feels as fleet and empowering as Mark of the Ninja. Your black-clad protagonist flitted and leapt about with the grace of a cat, sticking to walls and dropping into the shadows like a deadly arrow. While some of the prompts could get tangled in close quarters, Mark of the Ninja's predatory sense of movement made it a joy to play. It's no easy feat, making a driving game work well on a game controller. But Need For Speed: Most Wanted nails it, giving players enough control to feel in charge but keeping things simple enough that the game was always approachable. Criteron has mastered the "arcade racing" sweet spot, and their game is a blast as a result. The first thing I asked the developers of Far Cry 3 when I saw them at E3 was, "Did you guys keep the slide?" The slide in Far Cry 2 is one of my all-time favourite video game moves, and with good reason — it just feels good to sprint across a field and slide into cover. 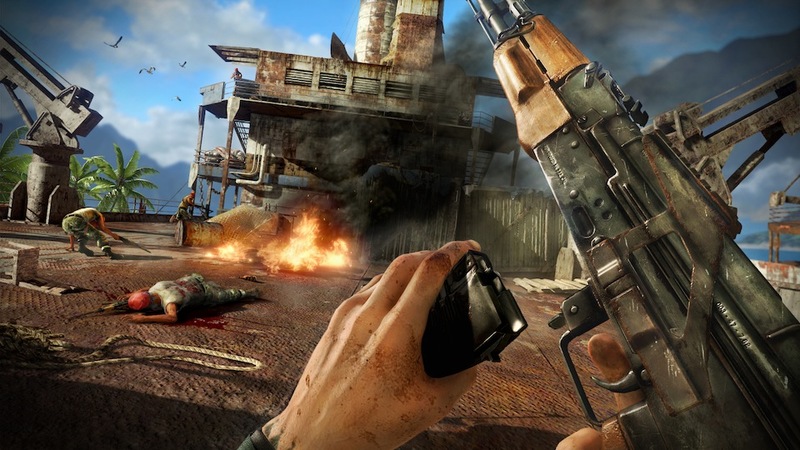 What they didn't mention, and what I found when I eventually played the game, was that they'd added all manner of other ingenious moves to make Far Cry 3 a remarkably responsive, satisfying first-person shooter. In particular, the "soft cover" mechanic is brilliant and works well — slide up to cover and Jason will automatically pull up against it; aim your weapon and he'll pop out. The unlockable takedowns are a great deal of fun, too, particularly the knife-throwing one. Far Cry 3 is a wonderfully empowering game, and the well-implemented controls are a big part of why. Those are some control schemes and mechanics that we really liked in 2012. How about you? 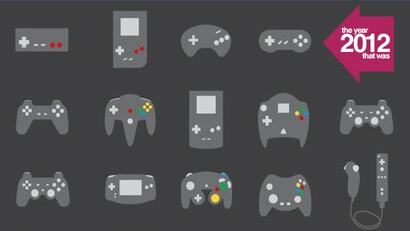 Tell us about the controls you really liked (or if you like, the ones you really hated) in the comments. Think I'm one of the only people who liked the controls in Assassin's Creed III, much smoother and more intuitive then the older games (especially Revelations, didn't like the small changes they made in that one) - still not perfect but I thought it was lots of fun. Other then that the only fun/interesting controls I can remember have been some of the few Vita games I've played, LittleBigPlanet Vita and Gravity Rush are pretty great. I think you might just be. Assassins Creeds controls are at best like shouting at a deaf dog and at worst down right broken. FarCry 3 felt incredibly satisfying, especially when you pull off that first knife throw takedown. No Saturn either and yet 2 dual shocks. Wut? controllers are way better for driving games than keyboards and mice. I think he meant in comparison to a steering wheel setup. 2 Dual Shocks but no Saturn and no 360. Saturn being the best 2D fighter pad on the planet, and the 360 controller being the best controller of all time period. @brody. I know one is the PS2 controller and one is the PS3 but ultimately, froma visual standpoint every Playstation contorller bar the original original PS1 controller looks the same. Hence why this image is so dumb with essetially 3 of the same controller, but no Saturn or 360 pad.